Spring has sprung, and with it comes the opportunity to clean out the clutter in your lunchbox and refuel with the right nutrition to power through homework and after-school sports. Packed with organic, vegetables, and superfoods, Slammers Snacks by Kids Gourmet are a fun, easily digestible alternative to sugary snacks, bars, and chips normally geared towards kids. Slammers come in seven different fruity flavors that introduce kids to mango, acai, yumberry, kiwi, and pomegranate. Not only do Slammers taste great, but they’re a good source of essential vitamins and minerals to keep kids in tip-top shape. For additional kid-approved lunch packing tips, I would love to put you in touch with Sarah Remmer. Sarah is a Registered Dietitian and Nutritionist with a specialty in babies, toddlers and kids. Sarah's passion is teaching parents how to raise healthy, happy and adventurous eaters right from day one. Spring is the perfect time to think about health snacks. Slammers Snacks are the perfect alternative to candy in Easter Baskets! These tasty pouches are loaded with only good things, like fruits, vegetables, and ancient grains and come in a variety of tasty flavors. They taste great and they're good for you! Plus, they are made with organic ingredients! 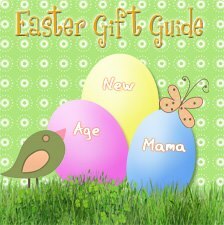 Here is a little about each one. Slammers come in fun pouches that are perfect to store in your lunch box so you always have them when you're on the go. We tried a variety of flavors, and they were a huge hit. 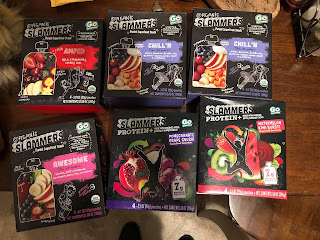 My kids range in age from six to seventeen and they all enjoyed the Slammers Snacks. For the little ones, it's fun to squeeze. The older kids love the sporty designs. This lets them enjoy them without being embarrassed by "babyish" characters. Whether you hand them out during spring and summer activities or stick them in lunch bags, Slammers Snacks are the perfect treat for any occasion.